The quote you receive from your ECM spells out the time requirements, cost, and details of what you can expect in the completed product. The quote phase of your project is where you absolutely need accuracy. Without it, problems can snowball and lead to production delays, higher costs, and faulty products. However, there are ways you can better prepare to avoid issues with your PCB assembly quote. There is standard, basic information your ECM will need. This includes the quantity of assembled PCBs you require, board size, thickness, PCB type, assembly required (single layer or multilayer), number of layers, surface finish, and all other necessary specs of your boards. Be sure to specify if your project requires Custom Testing and IC Programming. You will also need to supply your ECM with design drawings. Partnering with your ECM early in the design phase can be helpful. This allows the ECM to help tailor your design to incorporate board specifications that are in line with your ECM’s capabilities. A well-organized bill of materials is crucial for your project to be completed on time and on budget. A BOM is a comprehensive list of raw materials you will need in order for your project to be manufactured. This includes assemblies and sub-assemblies, components and other crucial items. The BOM list will let your assembler know exactly what they need to build your board to your exact specifications. Manufacturers depend on this information. That means is imperative that your BOM be detailed and accurate. Your end product could run into problems if your project requires a certain part, but your bill of materials lists another. A flawless BOM will ensure everything is ready to go when your project heads to production. When your project goes out for a quote, it is important to really understand your product and end use. You must know the how and where your device is used. The environment, including weather and temperature, of your PCBs' final destination, can have a large impact on the way your device functions. Communicating this to your ECM will allow for a better-built product. It will determine what mounting will be used to build your board, like SMT or through-hole technology. It will also allow for Design for Manufacturing to be factored in. 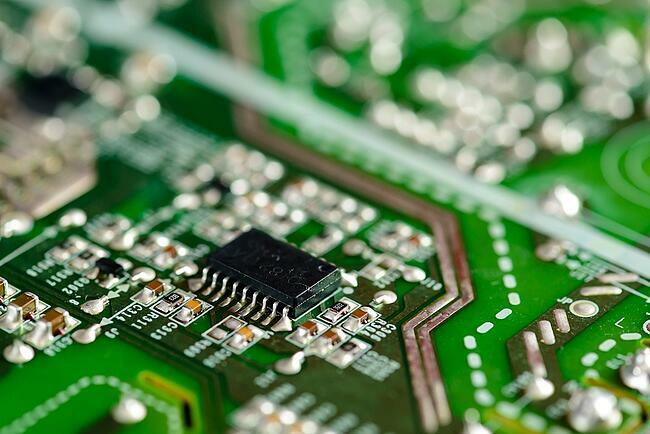 The final use of your PCBs can help your ECM explore making a better product at a lower cost by simplifying, optimizing and refining the product design. All will go well with your PCB assembly project is everything is quoted correctly. It is when changes are made late in the game that mistakes are made. That is why a quality ECM will be in constant communication with you throughout the quote process to fully understand your project, how it functions, and your end goal. Let Levison Enterprises quote your project in order to build a better product for you. Our attention to detail has allowed us to maintain our AS9100, ISO and IPC-A-610 certifications. And we can handle more than just your PCBs. Let Levison's commitment to quality handle your full electronic assembly. 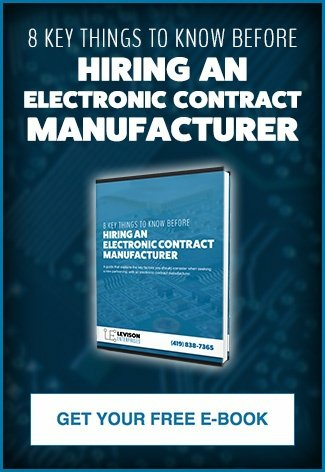 We want to be your electronic contract manufacturer. Contact Levison Enterprises today.